There are over 750 million people on Earth who are illiterate. Short-term, this amounts to restricted opportunities in the workplace. Long-term, it results in cyclical poverty, spanning generations as the probability of their children learning how to read and write is very low. Yet this cycle of poverty can easily be alleviated if resources are finally offered to children and adults who did not have them before. Real change can happen when the underprivileged are given the tools that will empower them in a lasting way. The change begins with the socioeconomic and traditional thinking being shifted into innovative and visionary thinking that shatters old barriers and paves the way for many years to come. The UK-based travel company Storyteller aims to do just this, through an inventive and community-driven business approach. Storyteller consists of 3 main goals: to create attractive travel accessories, to inspire people to travel, and finally to use a share of their sales profits to fund education programs in underprivileged areas of the world. Their resources and team of volunteers partner with other charities to host educational projects for adults and children. Traveling offers journeyers insight into the beauty that Earth offers, while conversely revealing some of the world’s biggest problems. 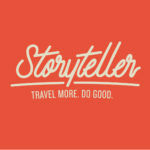 Storyteller exists in the hopes that passionate travellers from across the globe will come together to do good in the world. 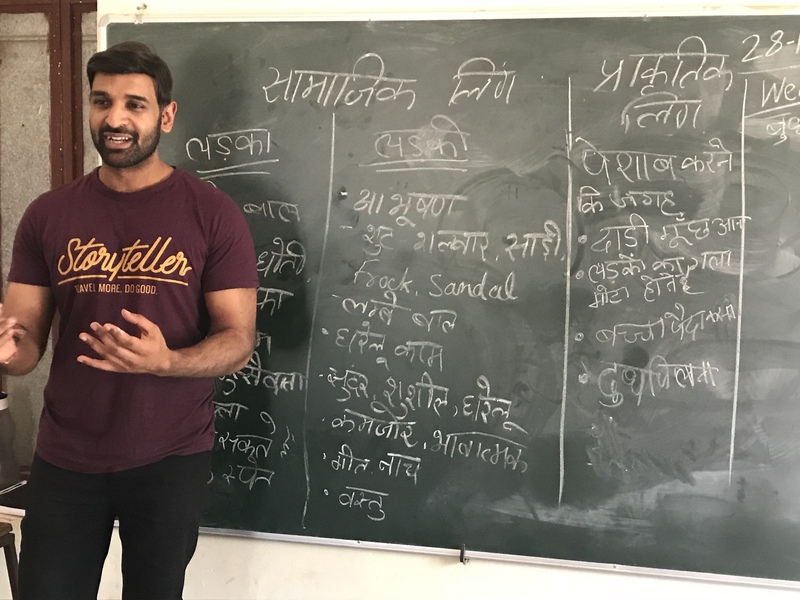 Recently, Storyteller surprised the rural schoolchildren from Barefoot’s Shikshaniketan grade-school with a trip to see the Rajasthani Royals’. Through the Indian Premier League, the Rajasthan Royals’ Sawai Mansingh Stadium welcomed the children to watch them train and attend a meet and greet, where they met with several top international players, including Ajinkya Rahane (vice-captain of the Indian Cricket Team) and Shane Warne (Former Australian Cricketer). 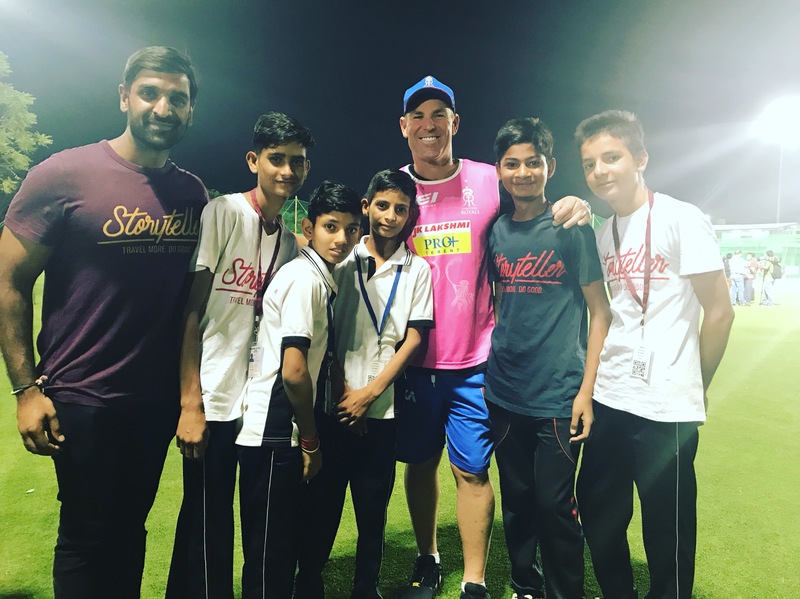 Storyteller arranged this for the children to meet their cricketing idols, but also to hear first-hand from them the importance of education and why it is so important to build a good long-term future. They have since also supported the Enriche Programme in Zanzibar by providing a number of resources and kits to help kick-start their new semester. Storyteller believes that companies have roles to play in supporting society as a whole, including foremost the underprivileged. It is a vision of theirs to continue volunteering and gathering high-quality educational content, whose resources will continue to enrich the lives of those involved. To do this, partnerships are integral, and constant development between key contributors and supporters must keep moving forward.